Welcome, we hope you enjoy and engage with our "Moderne Thoughts." Come And Take A Free Ride - On Nordstrom! Hot town, summer in the city and how nice of Nordstrom to treat to a cool ride! 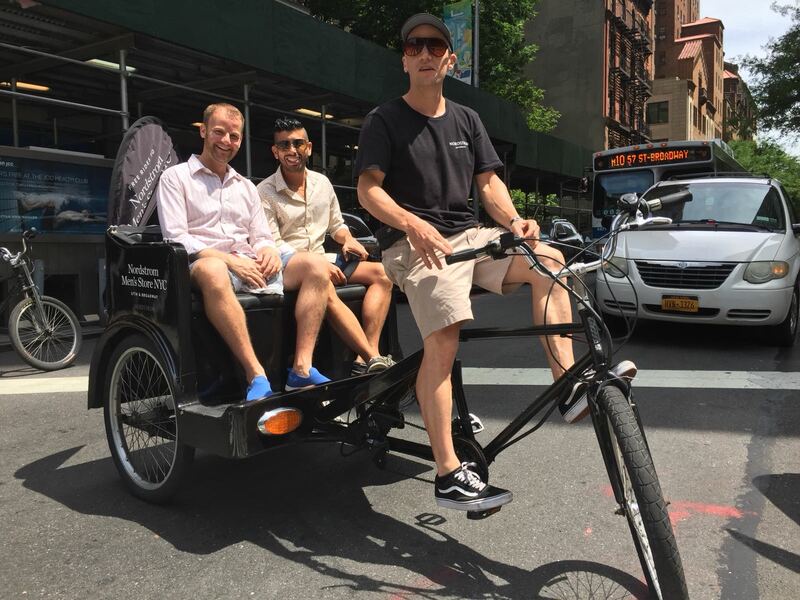 To celebrate the opening of their new men’s store in Columbus Circle, Nordstrom partnered with Camelot and Moderne to offer a pedicab ride to the new store on 57th Street and Broadway during July and August. San Diego Comic Con is a marketers dream - a gathering of tens of thousands of enthusiastic and excited people looking to get a piece of the brands they love. Every year, whether we are able to make it there or not, we dig deep to find the best marketing of the conference (broken up by stalking the panels of our favorites). 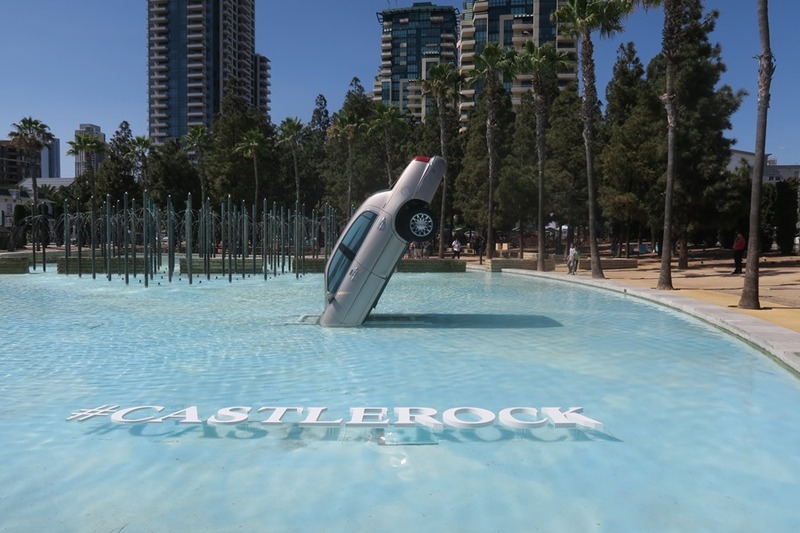 This year, our favorite activations ranged from perfectly executed out-of-home media to drunken, silent disco-style radio shows. Check it out below! 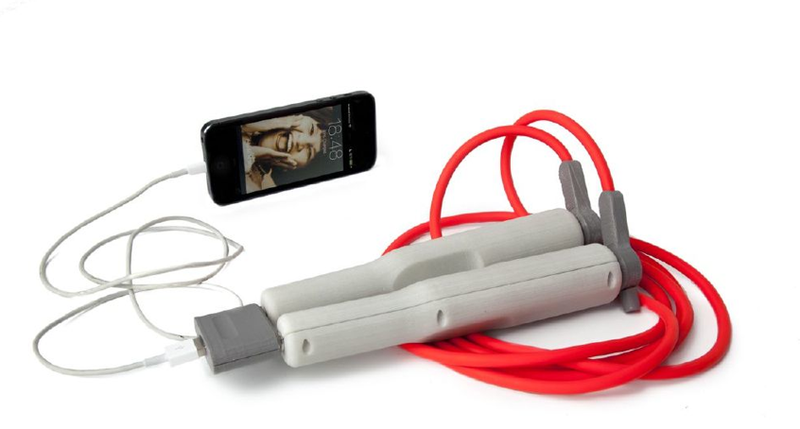 What's trending? Renewable Energy, that's what! If you live or work in Manhattan or Brooklyn, you may have spotted a CNN truck cruising the streets this week handing out free munchies to all welcoming onlookers. 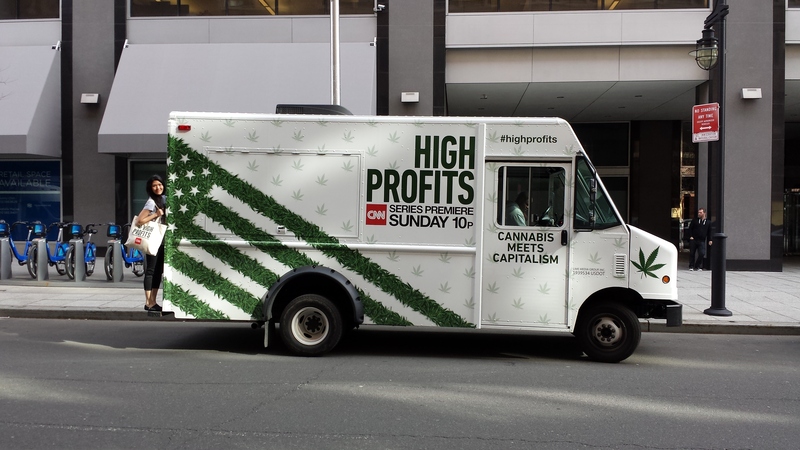 They’re not just looking to wet people’s appetite for snacks, but the Network has decided to go the route of executing an experiential guerrilla marketing mobile tour to promote their upcoming Series High Profits: Cannabis Meets Capitalism. 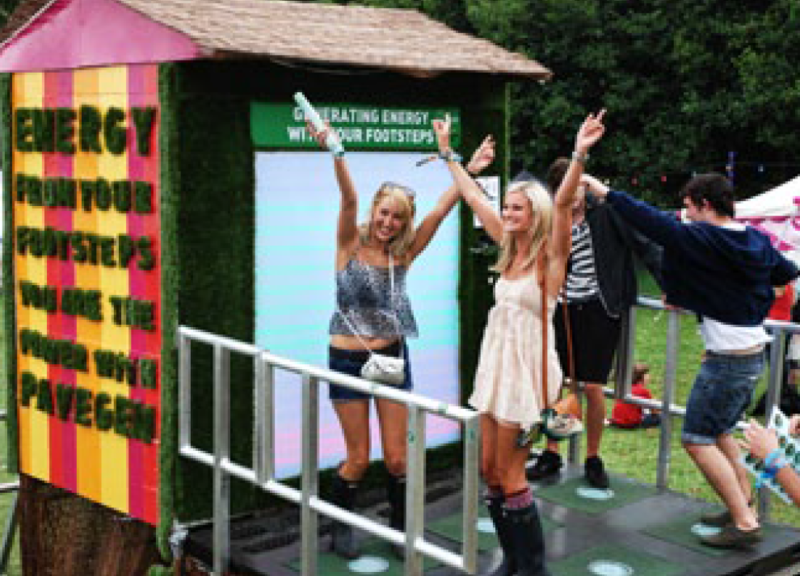 Did you know that Experiential Marketing is gaining popularity as the fastest growing form of marketing? In 2015, we foresee that the rapid innovation and emerging technologies that gained attention in 2014 will be woven into more relevant, integrated and immersive experiences. 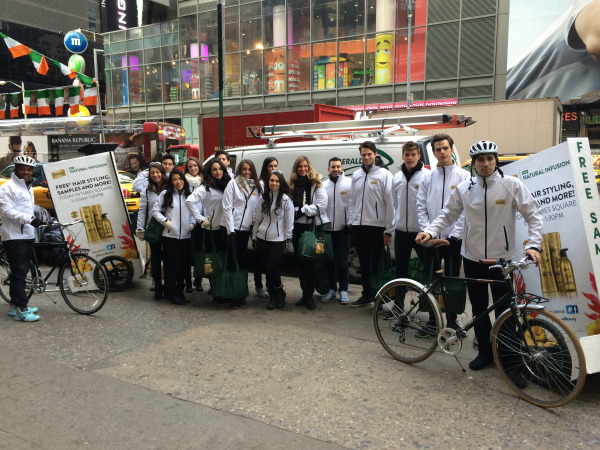 Moderne Communications partnered with Suave to support their new Natural Infusion product launch via street team takeovers near and around Time Square in New York City. Our Brand Ambassador team handed out free samples of the shampoo and conditioner and encouraged people to get a free makeover on their lunch break. 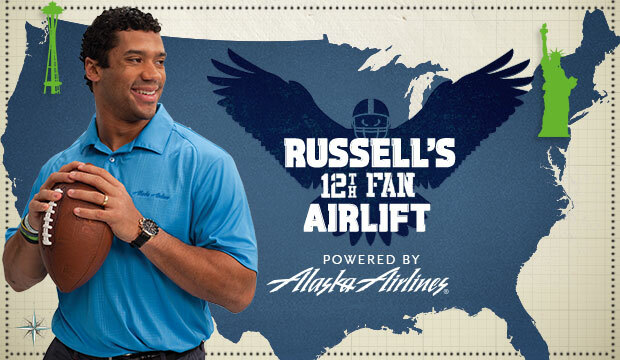 As part of their "12th Fan Airlift" Sweepstakes, Alaska Airlines and NFL Seattle Seahawks quarterback Russell Wilson teamed up to send 56 randomly selected winners and their guests to an exclusive Super Bowl XLVIII game day party at the Royalton Hotel in Manhattan. Winners received an inflight tailgate party onboard a tricked out Boeing 747 "Go Russell!" themed aircraft, admission to the Super Bowl XLVIII game day party, two nights of hotel accommodations and transportation to and from Newark Liberty International Airport. 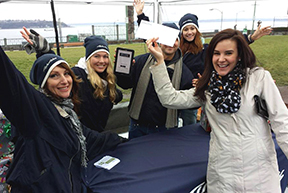 Open to residents in Washington, Oregon and Alaska, the four day sweepstakes extended from January 23rd to January 26th, bringing in over 63,000 entries through the Alaska Airlines Facebook page. 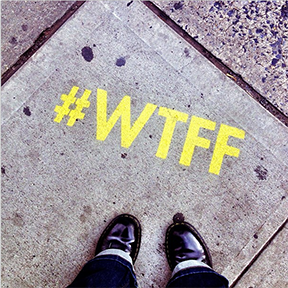 Introducing the world to their new lower calorie and lower fat product called "Satisfries," Burger King launched an unbranded, stealth experiential marketing campaign which included a mysterious hashtag #WTFF. While the meaning of their campaign hashtag remained unknown, curiousity spread throughout social media as people asked the same question, "What does it all mean??"